Canes are the oldest piece of medical equipment. A cane is a walking stick, used to help with balance and stability due to injury or age. If canes have been around for so long, why is it still so hard to pick out the right one? The main reason canes are ‘hard’ to pick out is because most people don’t properly size them! Having a cane that is too short or too tall can do more harm than good. Getting a cane that is the correct height is the most important target to hit on the right cane checklist, but it’s not the only one. Height can make or break the usefulness of a cane. Luckily, we have modern technology that allows most canes to be adjusted on the fly. Aluminum canes are manufactured to be adjustable. Most aluminum canes have a button system, allowing anyone to easily adjust them. How do you properly adjust canes? Every doctor and nurse I have asked has the same answer. To adjust a cane properly, stand as straight as you can and put the hand that will be using the cane at your side. Once you are in the proper position, make sure the cane handle lines up with your wrist. Tighten the cane and it’s ready to go! That’s it. For non-adjustable canes (varieties of wood, bamboo, carbon fiber) the same rules apply, but the cane must be sawed off. This entails permanently modifying the cane, so make sure you have help and you measure twice before cutting! Most canes support weights up to 300 lbs., which is more than enough for most people. There are some people, however, where cane weight capacity may be an issue. This is definitely a case of ‘rather safe than sorry.’ If you are over 300 lbs., make sure your cane can support you. Heavy duty canes are usually made of steel or an aluminum composite. Heavy duty canes are heavier than standard ones, but they are sturdier, with weight capacities of around 500 lbs. An added bonus of heavy duty canes is that they are extremely durable (drop proof and grandkid proof). Canes are available with many different tips and bases. The standard cane base is a rubber tip, used for grip and preventing metal canes from scratching floors. Rubber tips don’t have a universal size, so make sure to measure the diameter of your cane shaft before buying replacements. A step up from standard rubber cane tips are tri-tip and quad-tip bases. Tri- and quad-tip bases are large rubber bases with 3(tri) or 4(quad) tips. These bases are larger, granting the user more balance and stability, at the cost of a bit more cane weight. In some cases, larger rubber bases weigh more than the cane they are attached to; make sure the weight increase is OK before going out! 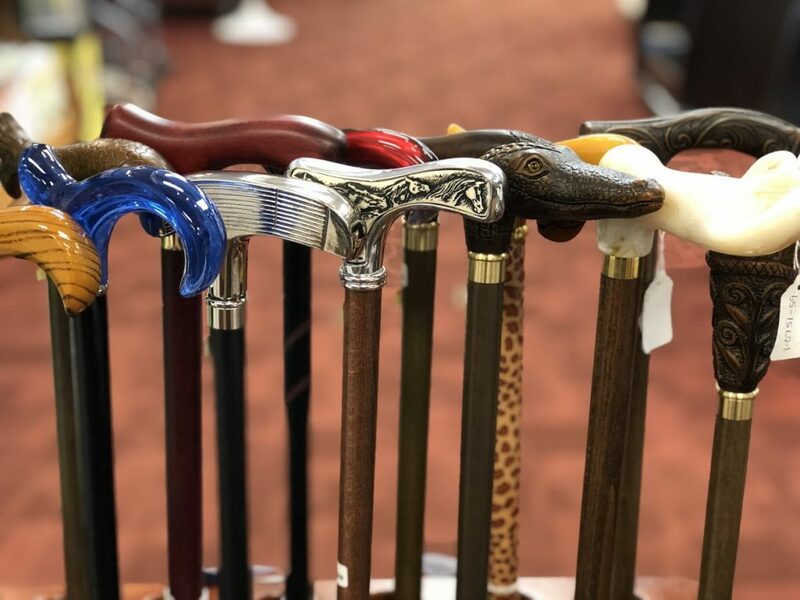 If you need more stability than a standard or tri/quad-tip cane offers, but don’t want a walker, take a look at quad canes. Unlike quad-tip bases, which are add-ons, quad canes come with a large aluminum quad base. Even the smallest quad cane bases are larger than rubber quad tips. Quad canes offer the most stability in the cane family but are also the heaviest. Try before you buy! Hand grips may seem like a minor thing to look at when purchasing a cane, but they are very important! If you plan on using your cane for running errands or longer walks, you’ll want to make sure you have a hand grip you like. The three most common hand grip types are foam, partitioned and ergonomic. Foam hand grips are a thin layer of foam, with a shape that differs from manufacturer to manufacturer. Partitioned covers all hand grips that are part of the cane (no extra grip), most of which are wood. Partitioned grips offer no padding and are the same material as the rest of the cane. Ergonomic hand grips are cane handles and grips ‘fitted’ to users. They are ‘fitted’ in the sense that they are molded for specific hands—left or right, larger or smaller hands. Ergonomic grips are normally molded plastic, but gel versions and foam versions are available. This might be the most important. Sounds easy too, right? Just walk and put weight on the cane—that’s it, right? Wrong! Using a cane properly is something most people (myself from a few years ago included) have misconceptions about. To use a cane properly, you need to hold the cane on your strong side. When you step with your weak leg, bring the cane forward at the same time. This seems off at first but makes sense—you need to have something to lean on if your weak side gives out. If the cane is on the bad side, you are much more likely to fall. Practice makes perfect is the phrase of the day here. The ‘right’ way to use a cane may seem off at first but will become second nature after a few days. If you have issues after a few days and need more help, please see your doctor first. Canes may be the oldest piece of medical equipment, but they are still around for a reason: they work! If you have been putting off buying a cane, now is the time to do it. Don’t wait for another fall or sketchy situation to happen. Spending $10-$30 today could save you an expensive and lengthy hospital visit down the road. You should make sure to try a variety of canes before you pick one. Different cane handles and materials work for different people. Find your local medical supply store or Medical Equipment Showroom and try out the styles they have. You’re sure to find one that fits you. 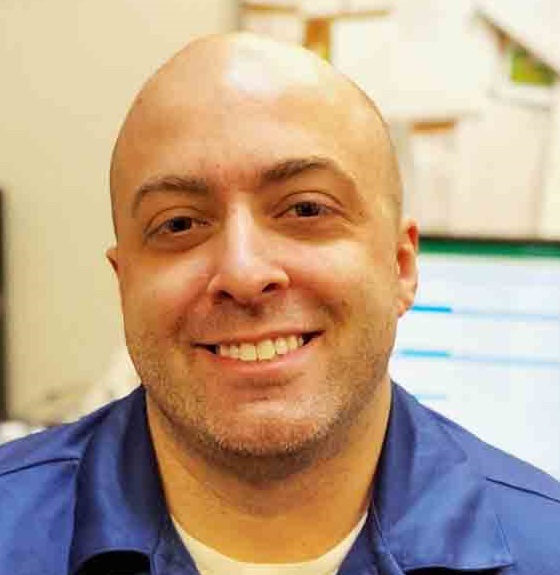 If you have further questions, shoot us an email or give our home medical equipment team a call. If you are in the Naperville area, stop by anytime! We’re open 7 days a week and have hundreds of canes on hand!